Any day I can get out of bed and make more than a single phone call, I am doing great. I have lived through intense highs and deep lows that together were a personal hell. Such is my experience of bipolar disorder. I lived through it, I live with it and I grow from it. get elephant's newsletter These were the words, uttered by my yoga teacher, Michael, that echoed in my head. He explained that a healthy joint has full mobility and a healthy mind has the choice of what to focus on. Locked in that hospital, I in no way felt healthy. In the "Yoga Sutras" by Pantanjali, a saint from India (150 BC), yoga is defined as the "Cessation of the fluctuations of the mind". In other words, Yoga is the stopping of movement (thoughts) in our mind. I was living in Nepal and had just turned 19 when I had my first manic episode. It wouldn't be for another five years, when I was 24 and admitted to a psychiatric hospital, that I was diagnosed with bipolar and finally understood what happened half way around the world years earlier. get elephant's newsletter Warning: this may be the most rewarding teaching experience you ever have. I have taught yoga from NYC to Israel, working with students from all economic backgrounds. My favorite, and yes, I do have favorites, is teaching young adults with special needs. The book is fierce in its retelling of painful events. 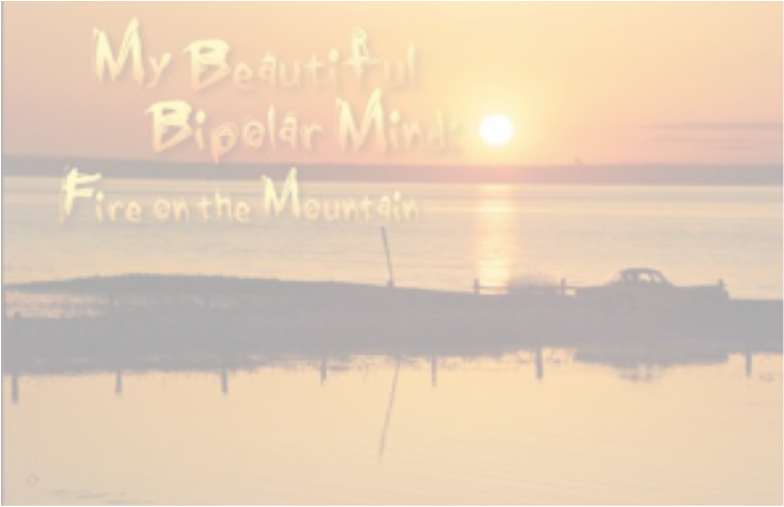 It is a courageous exploration of both Bipolar disorder and spiritual growth. My Beautiful Bipolar Mind: Fire on the Mountain is completely unique in its integration of art, memoir and myth.